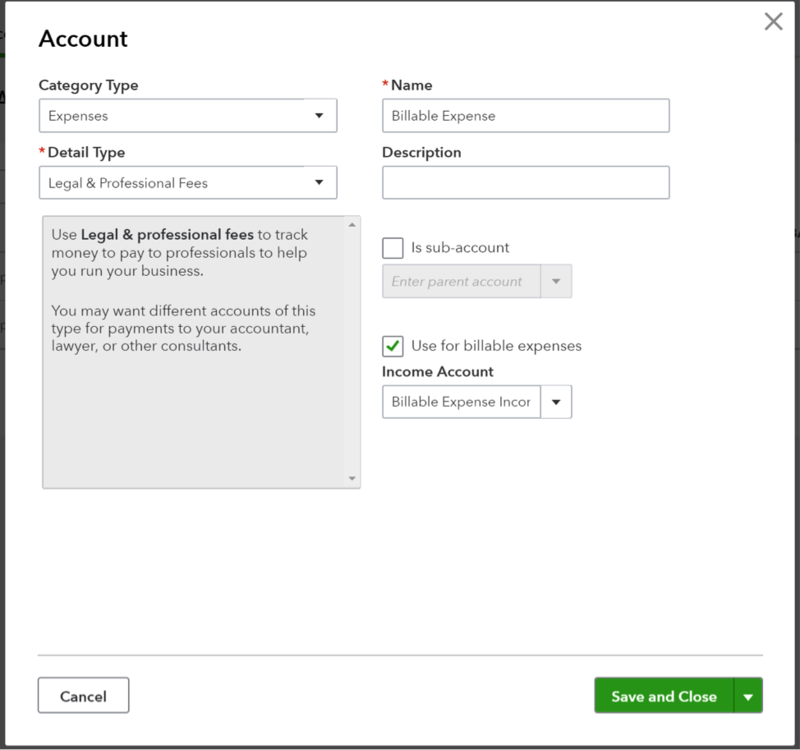 QuickBooks ProAdvisors® and accountants know how important it is to set up a client’s chart of accounts correctly from the get-go, and while there are a lot of similarities between professions, some have unique aspects or nuances that, for various reasons, are very important. The legal profession is one of those; in fact, creating and maintaining the chart of accounts for law firms aren’t just suggestions; they are requirements. State Bar association rules require law practices to keep meticulous records so there is no impropriety when dealing with Interest on Lawyers Trust Accounts (IOLTA), or any other trust accounts. The rules vary by state, but at a minimum, attorneys are required to maintain “complete records.” The American Bar Association publishes a list of recordkeeping requirements by state. Even though your state may have its own unique rules, there are a couple of things you should include in your clients’ chart of accounts in order to easily comply with most recordkeeping requirements. The most unique aspect of the chart of accounts for law firms is the IOLTA or trust account. The funds in this account do not belong to the lawyer and need to be recorded on a per client basis. In order to comply with recordkeeping rules, almost all attorneys are required to have at least two bank accounts: the normal operating bank account and the IOLTA bank account. In addition, the chart of accounts should also include a Trust Liability account to show that the funds in the IOLTA bank account do not belong to the law practice. They are, instead, owed to the client until they are earned by the attorney or disbursed in other ways. Firms also need to show the trust balance on a per client basis. To comply with this recordkeeping rule, you can set up sub-accounts under the Trust Liability with the client’s name. For example, client XYZ receives a settlement and the attorney deposits those funds into the IOLTA bank account, and then makes offsetting disbursements to the client, the law firm’s operating account and others. The deposit and the payments going out would be marked as Trust Liability:Client XYZ. By using this method to keep track of the trust balances per client, you will easily be able to look at the balance sheet and know exactly how much each client has in the trust account and ensure that the balances per client total the balance in the IOLTA bank account. Another unique aspect of having an IOLTA bank account is how the interest is handled. Because the interest on the IOLTA bank account doesn’t belong to the attorney, it should neither be entered as interest income when the funds are received nor interest expense when the money is paid to the state. Instead, the credit and debit should be marked as an interest payable account. This will ensure that your client’s records will accurately reflect what those funds are for in the IOLTA account. Sometimes, banks will deposit the interest in one month, but withdraw the money in the next month. If you run the balance sheet for the first month, it should show your client currently owes the interest to the state. Then, when the money is paid to the state, the money is no longer owed and the interest payable account will be zero. A majority of law firms have expenses that are reimbursed from their clients. If you do not keep track of these, expenses can fall through the cracks and never get collected. The easiest way to keep track of these is to make one or several billable expense accounts, depending if your client wants to separately keep track of filing fees, postage, medical records, travel and other expenses. Once you have a billable expense set up, expense can be assigned to clients and put on invoices to get reimbursed. The difference between the billable expenses and the income will show how much your client’s law practice has in outstanding reimbursable expenses. If your clients refer clients to other professionals, they may receive referral income. Since this income doesn’t actually come from practicing the law, it should be made on the chart of accounts as “other income.” On the profit and loss statement, it will appear at the bottom, and not at the top with all the other income earned from the main business. By adding in these accounts, law firms will be able to easily enter transactions properly into QuickBooks Online. Most data needed for state reporting requirements, including three-way reconciliation reports, should be easily found within the balance sheet and profit and loss statement.